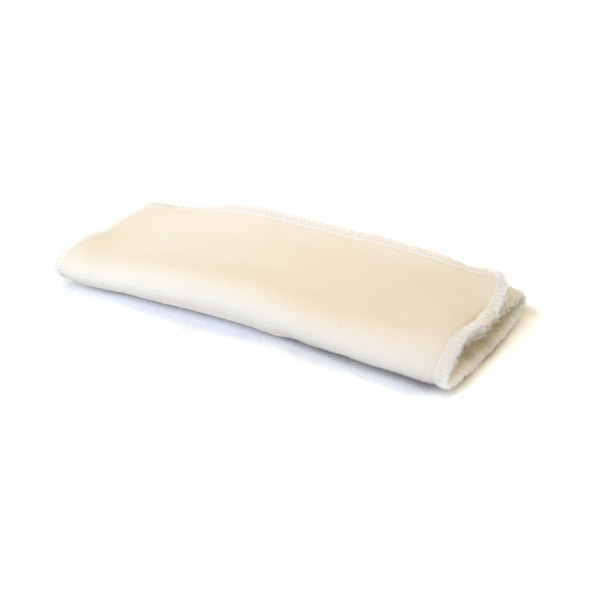 The Hamac washable absorbent pads for the night and naps is composed of four microfibre layers (one more than the regular Hamac washable absorbent pads) for up to 12 hours of absorption. - Fold widthwise twice, then fold again in half to fit in the 'Hamac' system. The beige face should be in contact with baby's skin. - A protective film may be placed on the absorbent to pick up the stool and throw it directly into the toilet.
. Machine wash at 40°C to 60°C.
. May be tumble dried.
. The more you wash the absorbent pads, the more absorbent they become. Do not hesitate to wash 5 to 10 times with the rest of your laundry before use. It is not recommended to use water softeners, Soapnuts or glycerin-based washing powders, as they grease the absorbents and thus reduce their absorption capacity. Rather opt for an ecological washing powder.